With a genre like tokusatsu, a majority of the characters are fighting in spandex and rubber suits. Due to this, voice actors are needed to give life to these characters. The hope is that this small retrospective gives a light on the various ways voice acting enters the world of tokusatsu. Part of the performance of a suited monster is the physical suit acting, but an equally key factor is the voice that comes out of it. With very little in the way of facial expressions, it takes a great voice actor to sell the character. 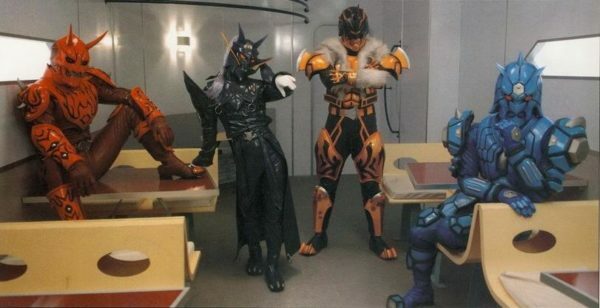 One of the most famous examples are award-winning anime veterans: Toshihiko Seki, Kōji Yusa, Masaki Terasoma, Kenichi Suzumura making the Taros from Kamen Rider Den-O some of the franchise’s most popular characters with their diverse range of personalities. The beginning of American tokusatsu was filled with voice actors who were responsible for the boom of anime in the 90s. It was uncommon in the original Saban-era to find key players like Robert Axelrod and the late Bob Papenbrook bringing multiple characters to life and still be recognizable, and yet completely different at the same time. Generally reserved for main villains are voice actors playing both their monster and human forms. Doing so allows the voice actor to generate a deeper connection to the character with a full performance of both voice and body. For example, one can truly feel Chase’s attempts to be human in Kamen Rider Drive once Taiko Katono takes the screen. Often times the musical talents of the actor is put to good use like when Haruka Tomatsu comes out of the recording booth with an Idol-style performance as Candelira’s human disguise in Zyuden Sentai Kyoruyger. For many a tokusatsu actor, they land their first role as a Ranger or a Rider. After tokusatsu, many of them go onto voice-over work in anime with notable examples being M.A.O, Masaya Matsukase, Hiroshi Fujioka, and Joji Nakata. Many fans love seeing these actors come back as Rangers or Riders, but often times they go behind the microphone and while doing so take a turn to the dark side by voicing villains. This is most recently seen with the three Vice Shoguns from Uchu Sentai Kyuranger played by Hiroshi Tsuchida, Arisa Komiya and, Naoya Uchida, all Sentai alumni. The West has been no stranger to this practice with former VR Trooper Brad Hawkins taking up the mantle of the morphed Gold Zeo Ranger and three of the five Machine Empire Generals in the Power Rangers 10th Anniversary episode Forever Red played by former Rangers: Archie Kao, Walter Jones, and Catherine Sutherland. As expected for a show marketed to children, tokusatsu uses a narrator to catch its viewers up on events throughout the story. A good narrator is able to convey this in a dramatic and engaging way. 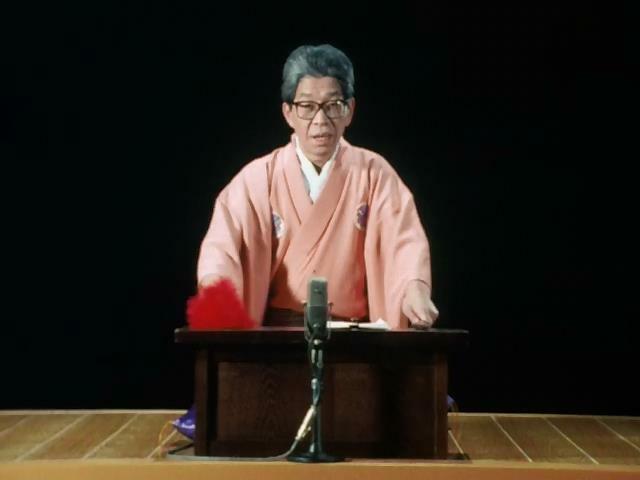 Hōchū Ōtsuka was a welcome addition to Kamen Rider Gaim with his theatrical style delivery of narration accompanied to a traditional Japanese style instrumentation. On the Sentai side, Kei Grant gave Juken Sentai Gekiranger both majesty of an engaging story, but also the exciting adventure of kung-fu. Oftentimes narration is provided by the various characters of the show. This can be heard with the Engines of Engine Sentai Go-Onger took up a rotation with each Engine narrating every few episodes. Kamen Rider, on occasion, has taken part of this, with Tomokazu Sugita as Kivat narrating Kamen Rider Kiva, later on to be joined by Akira Ishida once the upgrade of Tatsulot was introduced. 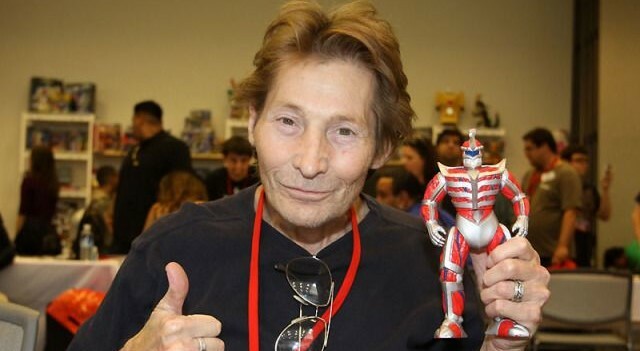 The idea of a driver narrating was once again employed with the voice of the Gaia Memories Fumihiko Tachiki narrating Kamen Rider W. Looking at Western tokusatsu, a notable example being Dave Mallow proclaiming “Today on the Mighty Morphin’ Power Rangers!” at the beginning of every episode in the show’s peak. Narration has been a staple of Power Rangers during the Neo-Saban era with the booming voice of Stig Eldred from Samurai to Dino SuperCharge, almost in an effort to further the brand’s identity. While Stig did not return to Ninja Steel and Super Ninja Steel, this tradition was carried on with Daryl Habraken taking the mantle. This article only begins to cover the reach voice acting has in tokusatsu over its multiple decade history. Not to mention the fact that for many of the actors who play Rangers and Riders have to learn the art of ADR once their characters change into their alter egos. It would most certainly be foolish to ignore the impact the industry had for without it a great part of the tokusatsu experience would be lost. Tokusatsu fan and cosplayer located in Maryland.